Visit one of our other, great Mission, Texas Resorts! but not in rental units. Discover Pleasant Valley Resort, where great service, immaculate Rio Grande Valley RV park facilities and surprising affordability create the perfect Mission, TX RV Park destination. You'll love our active, vibrant and welcoming community of friends. We know you have a choice of RV parks near McAllen, TX, so we've worked hard to create the most welcoming & beautiful Rio Grande Valley RV resorts you'll find. 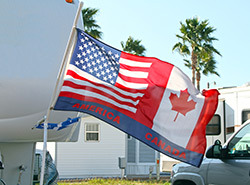 See why so many of our guests return year after year to our South Texas RV Parks. Our South TX RV park amenities ensure your comfort: pool & spa, clubhouse, shuffleboard & petanque courts, immaculate laundry, restrooms & showers and much more. At Pleasant Valley Resort, we even offer free phone calls to the U.S. & Canada! You won’t find a more comfortable or welcoming place to RV in the Rio Grande Valley. Come Join the South TX RV Snowbirding Fun! 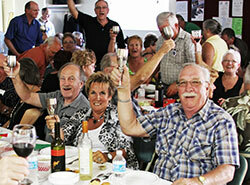 At Pleasant Valley Resort, friends, neighbors & guests gather together to have fun. Whether it's a music jam, a pot luck dinner, or to celebrate a birthday or anniversary, you won't find a more welcoming community of RV Winter Texans anywhere. 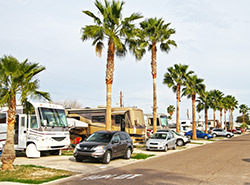 With our immaculate Rio Grande Valley RV park facilities and Mission, TX RV park location, RV living couldn't be better. Once you visit Pleasant Valley, you'll see what's so special about our Mission, TX RV Park and why so many of our guests choose Pleasant Valley as their Winter Texan snowbird RV park year after year.